A Macro and Micro trace mineral concentrate with added BovatecTM and Rumen Buffers. This complete concentrate allows easy use in preparation of Lamb Feedlot diets. 1 x 25 kg bag per tonne of feed supplies a range of Minerals Vitamins, Rumen Buffers, By Pass protein and Bovatec TM (Lasalocid) an Alpharma Animal Health Product. Vitamin B1 is added for Thiamin deficiency. This very palatable product allows quick acceptance by Lambs and other sheep and supports transition to grain based diets with the aid of Bovatec TM and Bi Carb Soda as a Rumen Buffer. This product also contains By Pass or Protected Proteins of vegetable origin. 1 x 25 KG BAG to the tonne of mixed grain. Meeting the protein, energy, vitamin and mineral requirements of lambs when supplementary feeding grain is essential for profitable lamb finishing. 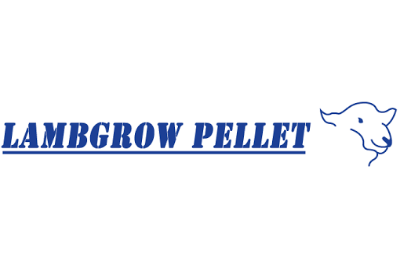 LAMBGROW PELLET is designed to compliment the essential requirements of Vitamins and Minerals as well as rumen buffers that are required on a daily basis when grain feeding sheep. Lambs in particular are sensitive to trace mineral imbalances and dietary shortfalls, so, it’s important to the profitability of supplementary feeding that the key nutrients are delivered each day in a palatable uniform way with consistent intake levels. Lambgrow Pellet from Compass Feeds is a flexible, low inclusion product that is designed to be fed in a wide range of production strategies including pasture supplementary programs, as an addition to pre-mating grain rations, intensive lamb feedlots and as an essential additive for ewes with lambs at foot that are being fed high grain diets, or in confinement feeding systems. When sheep of all age groups are fed high grain diets and self feeders are used , quick adaption to grain safely is a high requirement. LAMBGROW allows quick feed adaption by Lambs and older Sheep and supports rapid transition to grain based diets with the aid of Bovatec which supports increased feed conversion efficiency and growth rate. Bovatec is also added as a control for coccidiosis in sheep. Compass Feeds recommends that 2 x 25kg bags of Lambgrow Pellet be used in the first few weeks of feeding, timing changes during the starting phase is critical in lamb and sheep feeding management. Once lambs and sheep have adapted to grain, then reduce the quantity to 25 kg to the tonne of finished feed. Free Flowing consistently sized uniform pellet. Calcium, Salt, Magnesium, Sulphur, Manganese, Iron, Zinc, Copper, Selenium, Cobalt, Iodine, Cereal grains, Legumes and Legume by products , Vitamins A, D, E and B1. This product also contains Bovatec 150™ and other buffers including Sodium Bicarbonate. Mix 50 kg of Lambgrow Pellet with 1 tonne of finished for 2 weeks. Reduce to 1 x 25 kg bag per tonne of Finished feed for balance of feed time. This product is recommended for use where a high requirement for Magnesium, Zinc, Vitamin E and other Macro and Trace elements is advised. Magforce can be supplied free choice to sheep including Lambs, pre Lambing ewes and Lactating Ewes. 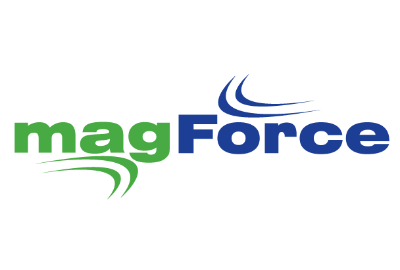 Magforce is an ideal supplement for animals grazing Lucerne and irrigated Clover and has been widely used in conjunction with other products in strategies where grass tetany causes production problems. Or where the animal is affected by a lack of magnesium due to the interference of magnesium absorption in the rumen by potassium (K) excess in the diet. Mg is an important component of cerebrospinal fluid, the fluid that surrounds the brain and spinal cord and is necessary for the transmission of signals throughout the animal’s body. High Vitamin E levels are added to support antioxidant and Muscle function issues. Magforce is ideally supplied at least 6 weeks prior to lambing and can be fed right through to weaning. Valuable as a Magnesium source during lush Spring pasture growth. Used essentially as a supplementary lick, this product can also be mixed with grain or top dressed on hay.